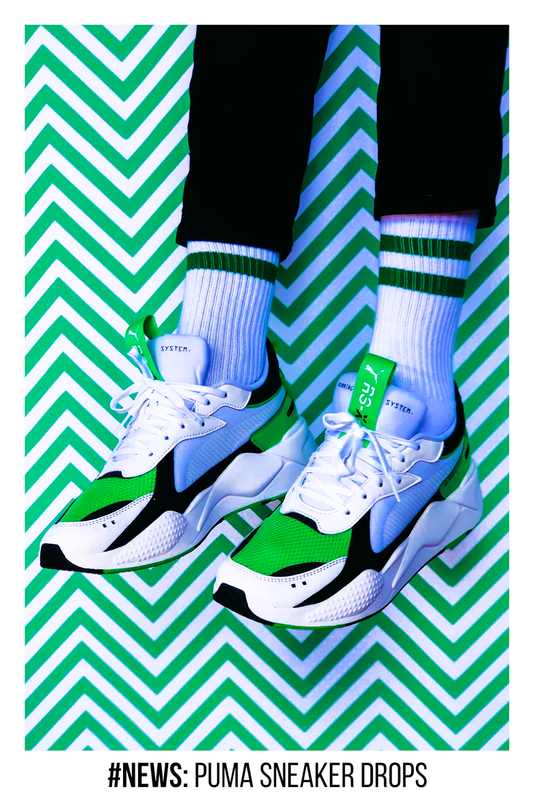 The RS-X Reinvention sneaker is engineered with PUMA’s patented RS Technology on the midsole, featuring a modern rendition of the retro-inspired design. Utilizing mesh and textile for the upper, the sneakers are fitted with a molded sock liner for added comfort. 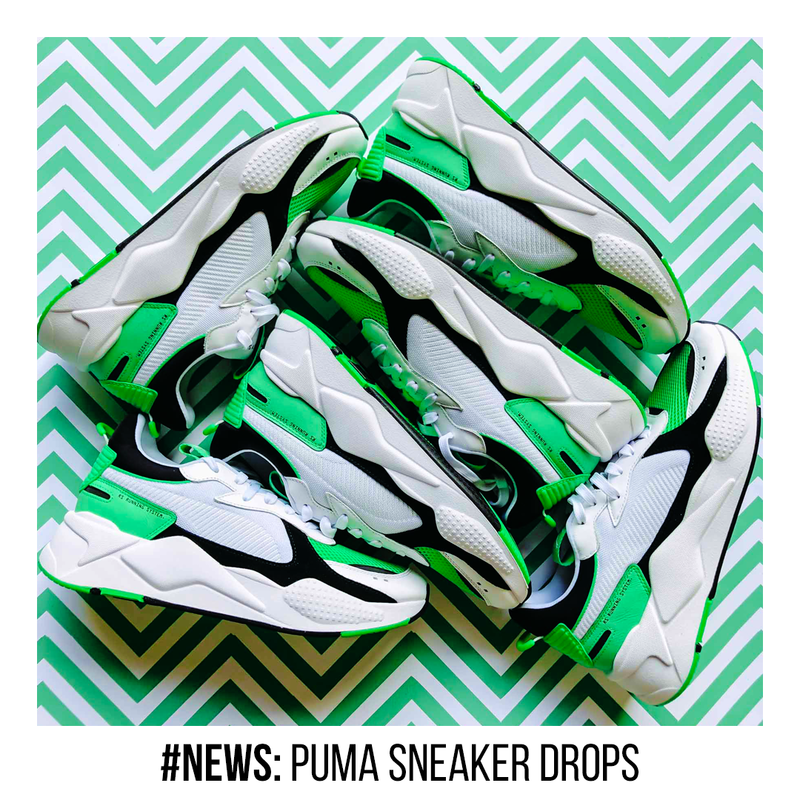 This version has arrived in a brand-new colourway – PUMA White – Irish Green and retails for R1,999. Some 20 years ago PUMA introduced the vis-tech running wave. Now, in the millennials, the CELL Viper has been reimagined to appeal to a more modern consumer with all the added tech design and comfort. 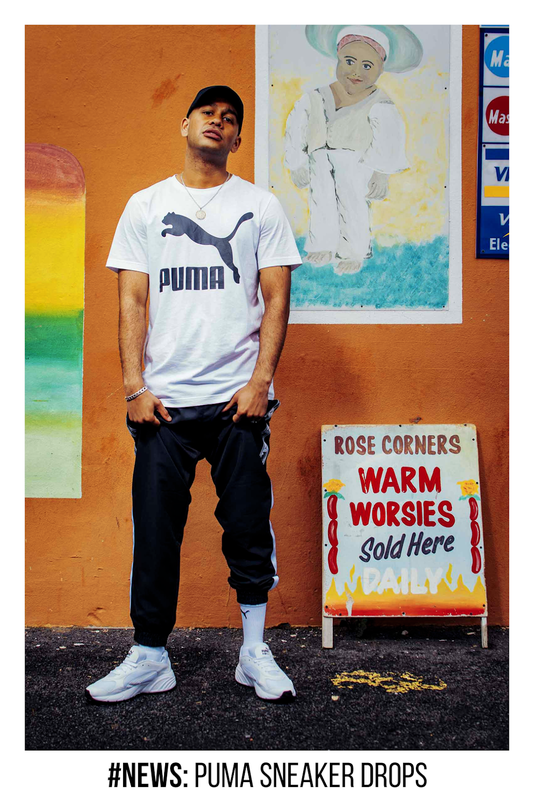 To bring its heritage up-to-speed while showcasing its fresh design approach, the sneaker has dropped on the feet of local next-generation musician, YOUNGSTA Cpt. The PUMA CELL Viper in white-on-white, with its hexagonal cells in the midsole to provide optimal shape and maximum cushioning is currently retailing for R1,499. 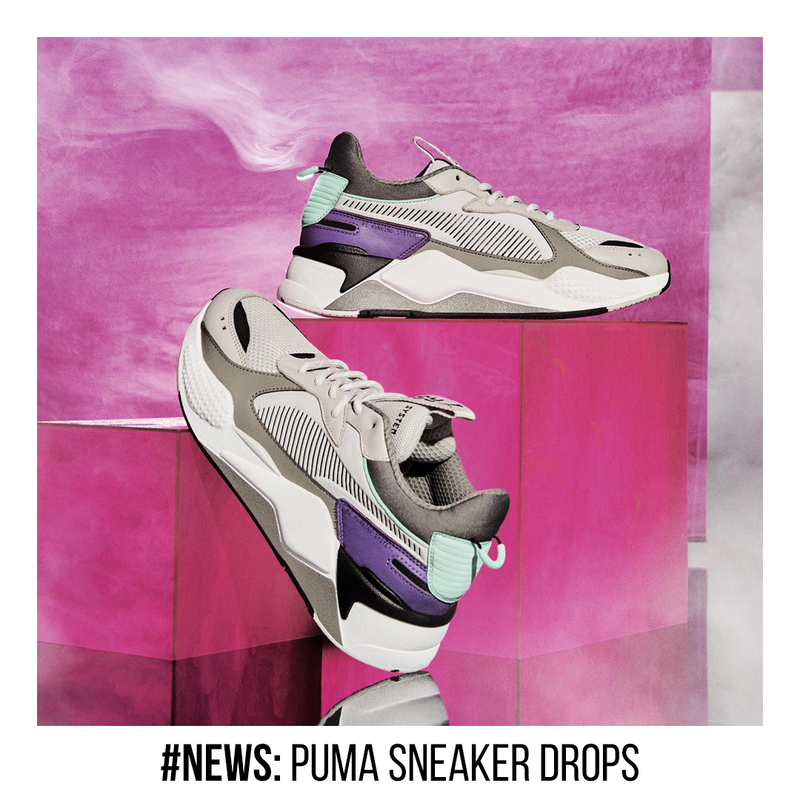 Keeping with the stories of extreme reinvention, PUMA has launched the all-new RS-X Tracks sneaker, inspired by the evolution of music in this digital age. Built with a mesh and textile upper, the RS-X Tracks is decked with stylish leather overlays and fitted with the OG RS Technology in the midsole. The RS-X Tracks sneaker is available in store and retails for R1,999. 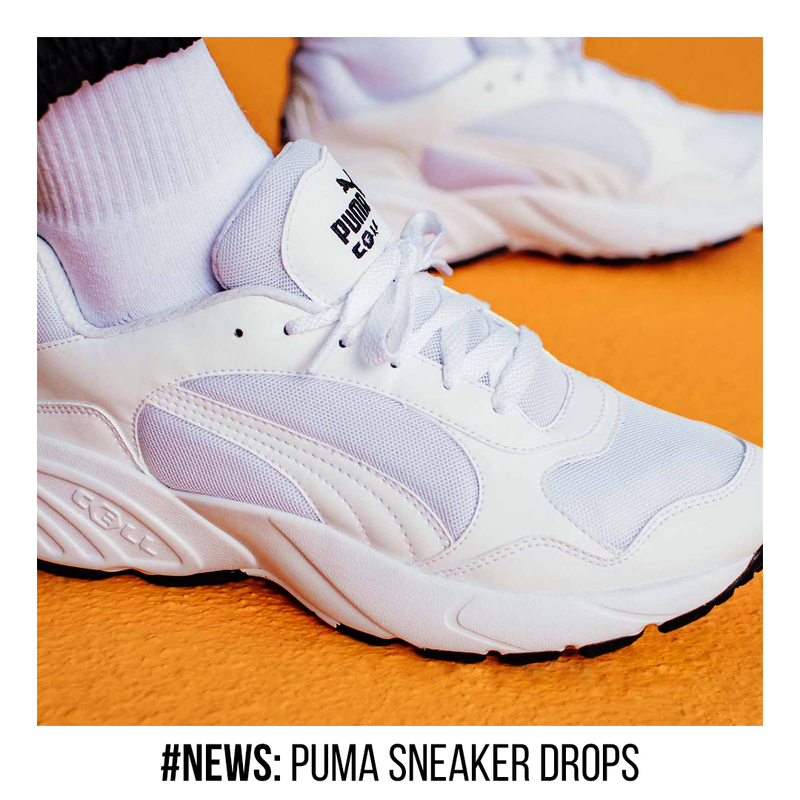 Essentially, if you’re looking for subdued style, comfort, and practical technology or looking for all that within a statement piece, PUMA has an offering just perfect for you. Visit your nearest PUMA, SELECT, X-Trend, sportscene, and Shelflife to get a pair. Every now and then our skin goes through a phase where dark spots, uneven tones, and even blemishes are a thing. It’s not necessarily a train-smash, however, a little bit of love could go a long way to correcting it and getting your skin and face back to its original state of affairs. There are a variety of products out in the market to help you get this right. We look at a selection of products from a singular family to get you started. 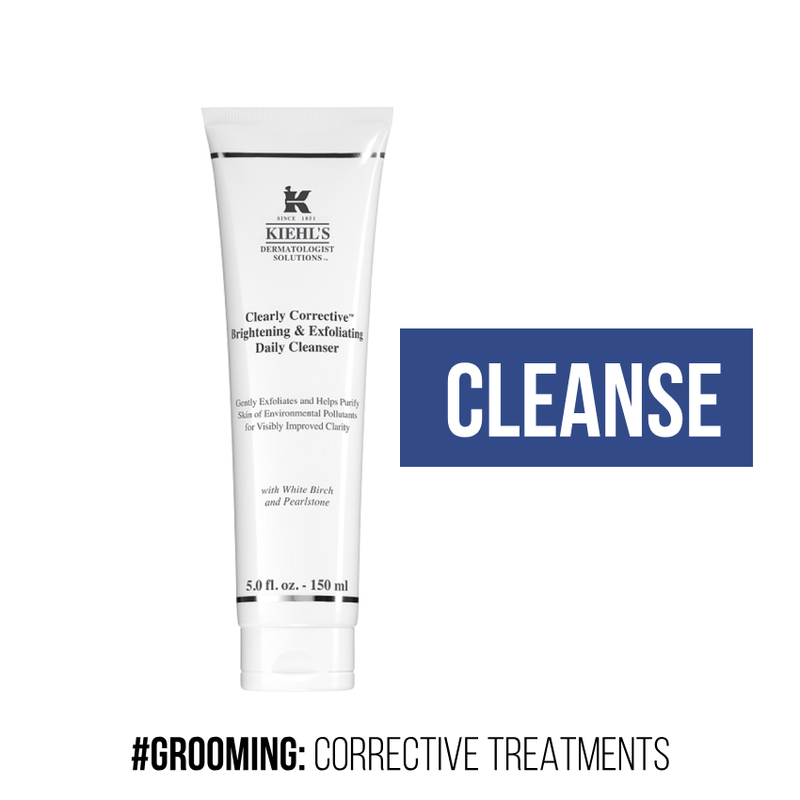 Kiehl’s Clearly Corrective Exfoliator is a high-performance exfoliating cleanser. Effectively cleans and exfoliates pores to minimize skin irregularities and dullness for a noticeably brighter complexion. The cleanser helps boost the skin’s moisture levels and maintain balance, leaving the skin refreshed, soft, smooth and clean. 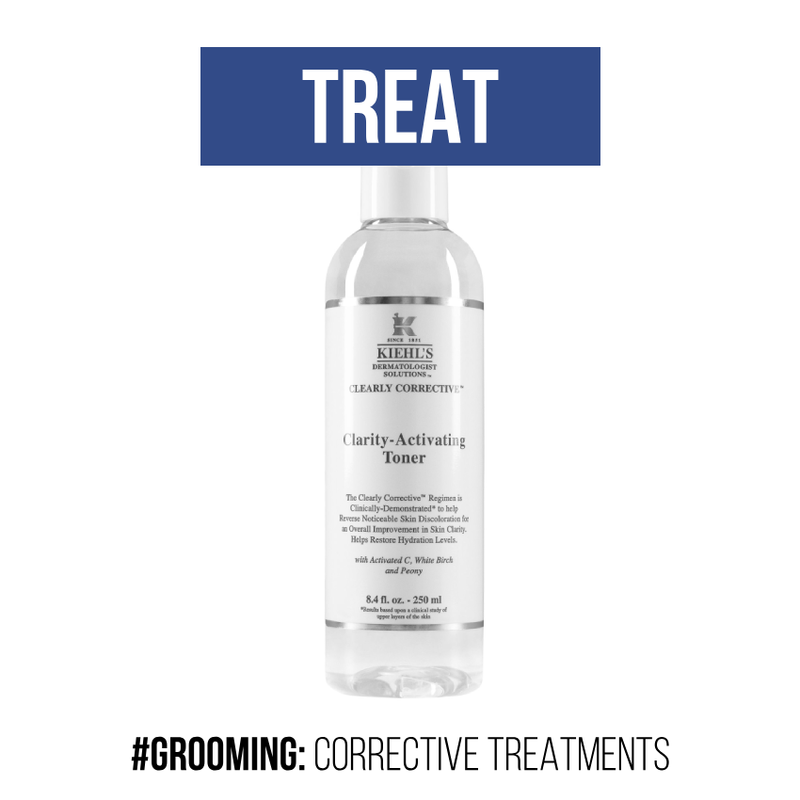 Kiehl’s Clearly Corrective Clarity-Activating Toner is an advanced skin retexturizing toner. The high-performance toner gently retextures skin, infusing it with hydrating actives for noticeably cleaner and softer skin; while the Activated C helps visibly diminish dark spots and skin discoloration. 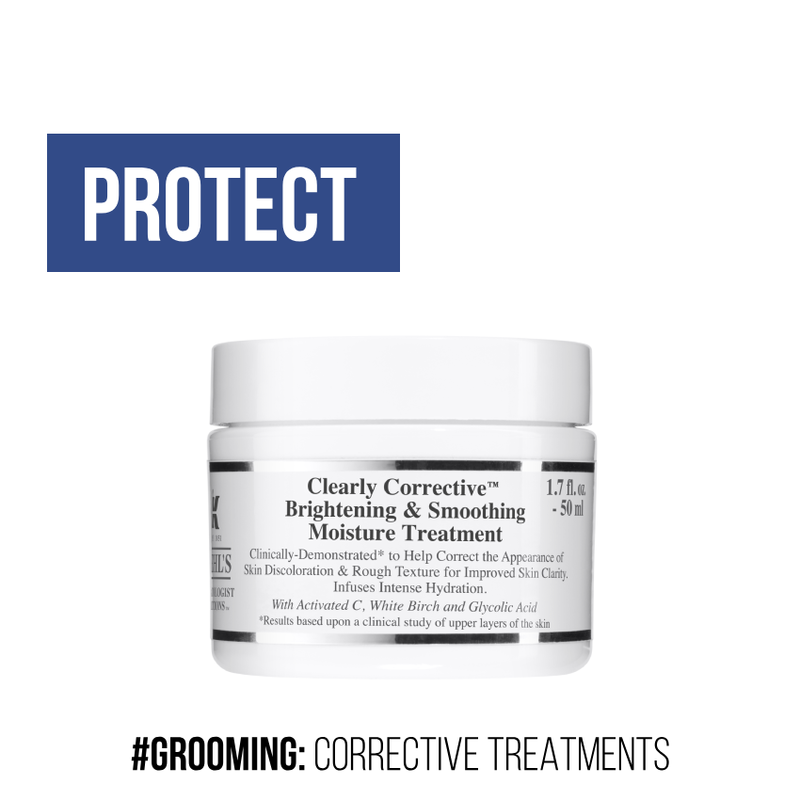 If you’re looking for a fast absorbing, non-greasy protective moisturiser, look no further that Kiehl’s Clearly Corrective Brightening and Smoothing Moisture Treatment. Infusing powerful active ingredients for an immediate glow, the treatment provides 24-hour hydration while visibly diminishing dark spots. Activated C helps clear skin irregularities and works to restore the skin’s natural clarity. Sometimes our skin needs a little bit of extra help to get it to where we need it to be. Sometimes it’s masking, other times a spritz throughout the day and sometimes we require a serum. 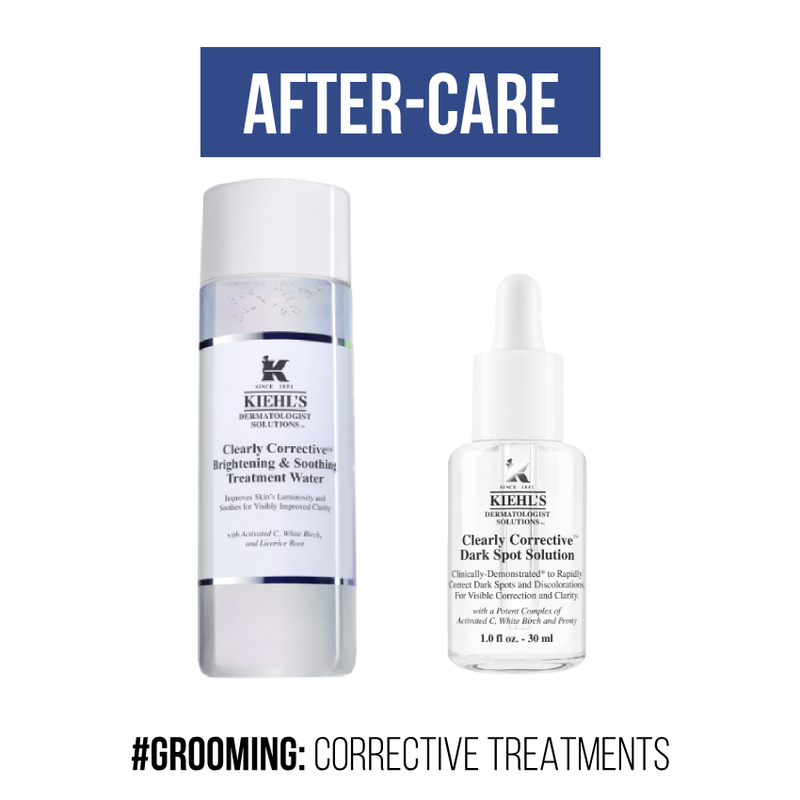 For skin irregularity and dark spot correcting, Kiehl’s offers Brightening and Smoothing Treatment Water, as well as the Dark Spot Solution. Bother lightweight and fast absorbing, they offer both on-the-go solutions, as well as overnight opportunities. Incorporate ingredients such as Activated C (a Vitamin C derivative), illuminating minerals and Licorice Root, expect brighter, clearer, hydrated skin. With any set of skincare products you administer, there are always the basics to take into account. A good dose of nightly sleep is always required, healthy amounts of water daily is recommended and avoiding excessive intakes of unhealthy foods can all help keep your skin healthier for longer. This April Cape Town sees the eagerly anticipated Design Hotels™ property, Gorgeous George, open its doors to a flagship of stunning designer humans. 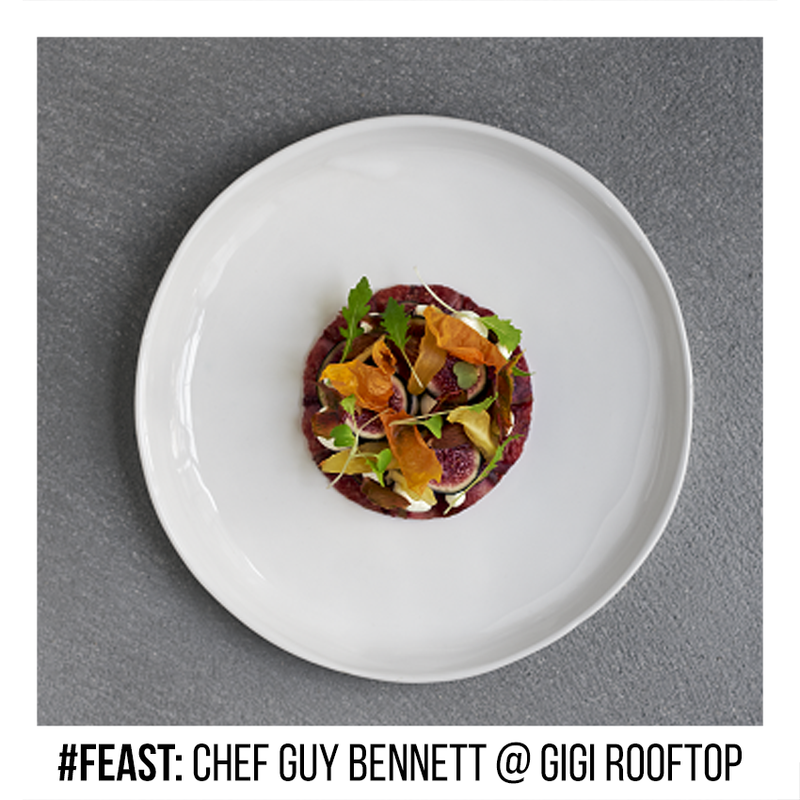 The ultra-chic downtown establishment boasts a beautiful heightened dining and entertainment space, quaintly named Gigi Rooftop, which will be led by the third ‘G’ in the equation: Executive Chef Guy Bennett. 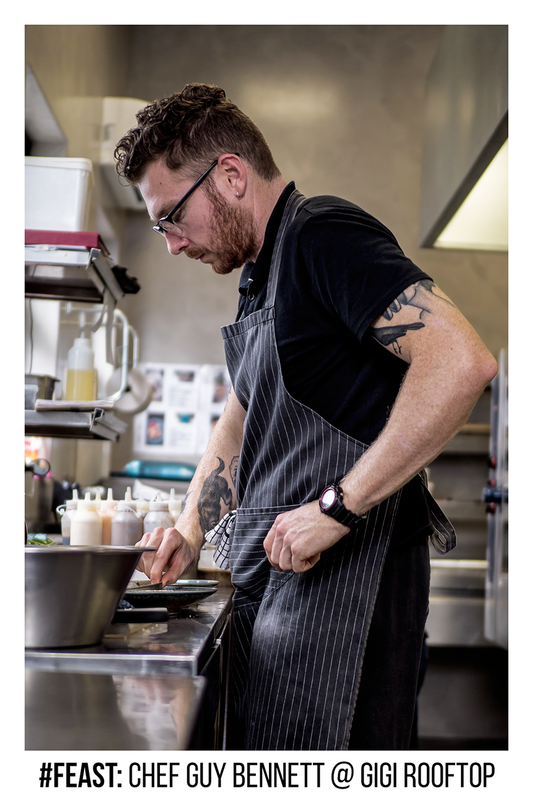 Chef Guy Bennett’s culinary record cites a series of star-studded experiences including the Grande Provence Heritage Estate and the One & Only, working under Chef Edgar Osojnik at Buitenverwachting Wine Estate and even Michelin-rated head chef Michael Deg at Delaire Graff Restaurant. Being part of Design Hotels™, Gigi will stay true to the ideology of innovative design and architecture, with a strong cultural rooting in hospitality. This will be brought out in the menu, which will benefit from cutting-edge cooking techniques, distinctive plating, and seasonal locally sourced ingredients. Bennett is looking forward to introducing some of his new and unique touches to the menu at Gigi Rooftop at Gorgeous George. The doors to Gorgeous George officially open to the public from 19 April 2019, however, if you’d like to book your stay they are already taking reservations. 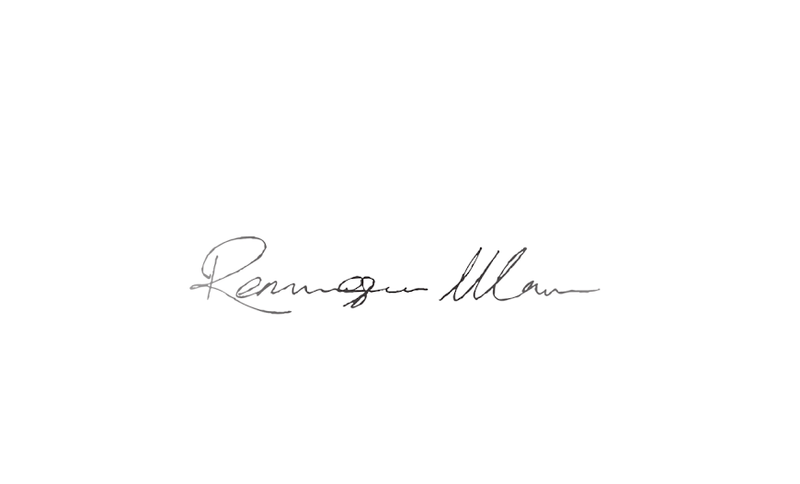 For further information please visit their website: https://www.gorgeousgeorge.co.za/.